On the grounds of Misselthwaite, her Uncle Archibald's estate near the Yorkshire moors, nine-year-old Mary Lennox finds a walled-in garden that has been locked securely for years. With the help of Dickon Sowerby, a young local boy who can charm animals, Mary cultivates the garden, an experiences that both improves her health and raises her spirits. Ultimately, the secret garden proves beneficial not only to Mary, but to her sickly cousin Colin. 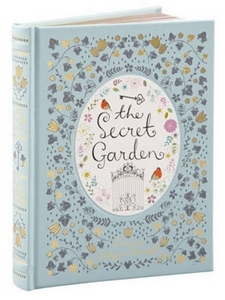 Nurtured with love and tenderness, the secret garden proves it has the power to heal the heart. 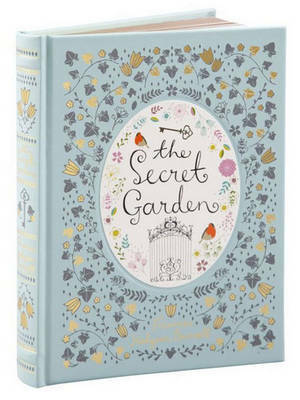 First published in 1911, Frances Hodgson Burnett's The Secret Garden is a much-loved classic of children's literature. This illustrated edition, with full-colour plates by Charles Robinson, features an elegant bonded-leather binding, a satin-ribbon bookmark, distinctive gilded edging, and decorative endpapers. Decorative, durable, and collectible, it's a book that will be cherished by readers of all ages.